If you think all the solid. clean Mustangs are gone. 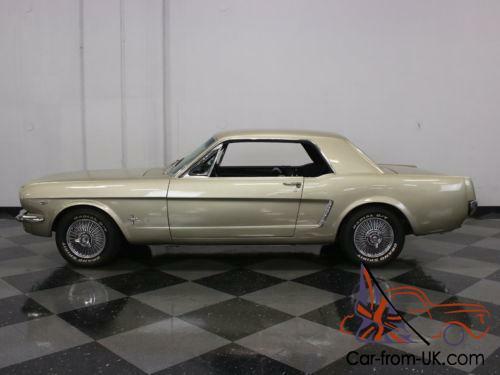 take another look at this lovely 1965 Mustang coupe. It's actually a very early production Mustang. commonly called a "1964". 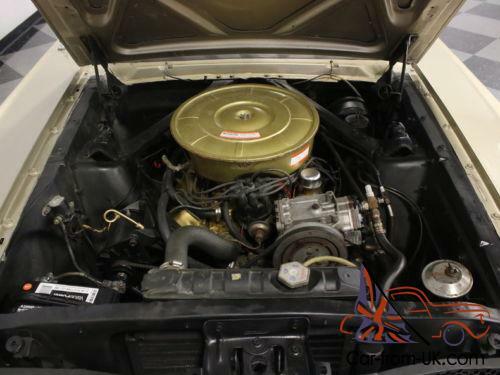 which means that the V8 is an F-code 260 and the details are slightly different that its younger siblings. 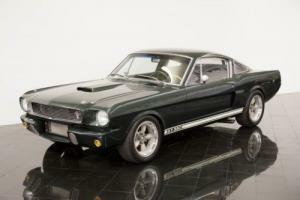 If you like Mustangs but want one that's a little out of the ordinary. this coupe definitely fits the bill. The paint isn't original. but it is nicely done and accurately replicates the original code Z Chantilly Beige Metallic finish. In addition. there are no signs of significant bodywork or repairs. which means is that someone really cared about this car and it was obviously never someone's daily driver. It's not perfect. 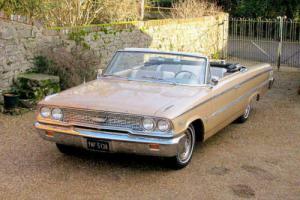 but it has a suitably vintage look that seems to work rather well on the low-key pony car. In the same vein. the chrome and trim has been very well preserved and only replaced as necessary over the car's lifetime. Bumpers are superb. and the rocker panel trim is clean and undamaged. 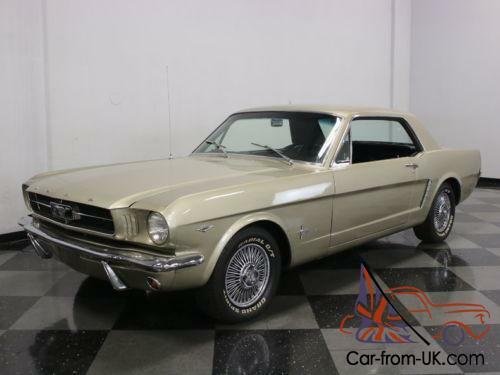 Appropriate Mustang badges and logos are still affixed to the body as original. and the iconic 3-element taillight lenses are still clear and bright. 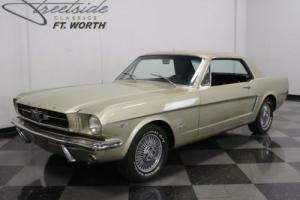 This particular Mustang is still powered by its original F-code 260 cubic inch V8. which was rated at 164 horsepower in 1964. 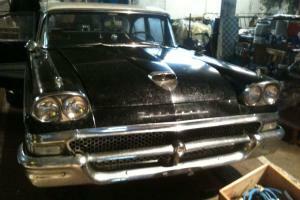 With a 2-barrel carburetor and an automatic transmission. this one wasn't built with the drag strip in mind. but it is satisfyingly quick. with a great V8 burble from the tailpipe. The engine bay is full of early Mustang details. from the black block and gold tin work to the generator making the electricity to the ventilated header to help keep the generator cool. It's not super detailed. but it's clean and well-maintained and runs superbly. A C4 3-speed automatic feeds an 8-inch rear full of 3. 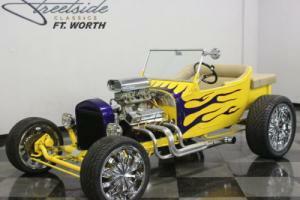 00 gears and it's equipped with both power steering and power brakes. The tires are recent 205/60/14 white-letter radials around optional wire wheel covers. Regularly maintained and highly reliable. this is one of those hobby cars that you can just get in and drive whenever the mood strikes you. Not a show-winner. but exactly the kind of hobby car that gets people excited when they see it because everyone remembers when they had one just like it. This is a lot of Mustang fun for not a lot of money. Call today!